Model 371DST is a double-flash strobe housed in a Type 4X enclosure. 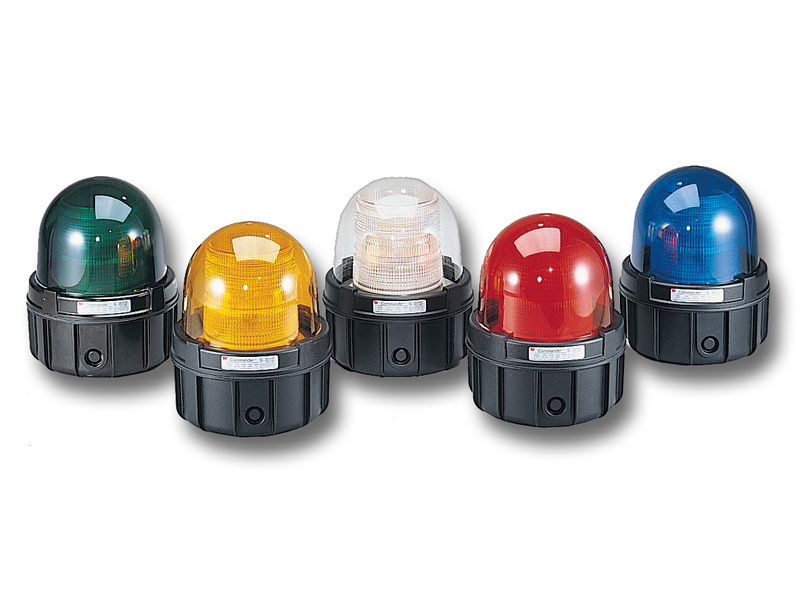 At 80 flashes per minute and 1,000 effective candela, the Commander® is the largest strobe signal in the Federal Signal product line. The dome and ring assembly simply screws on, allowing for quick access to the strobe tube and printed circuit board.The base of the Commander features electrostatically applied, black epoxy paint for greater corrosion resistance. The 371DST can be surface or 1" NPT pipe mounted. It is wired through the pipe mount opening on the bottom of the light or through side knockouts. Optional wall and corner mount brackets are available. The LWMB2 wall mount bracket and the LCMB2 corner mount bracket can be used for all non-hazardous environments.